We have a large range of hoodies and zoodies to choose from, each with their own unique benefits. 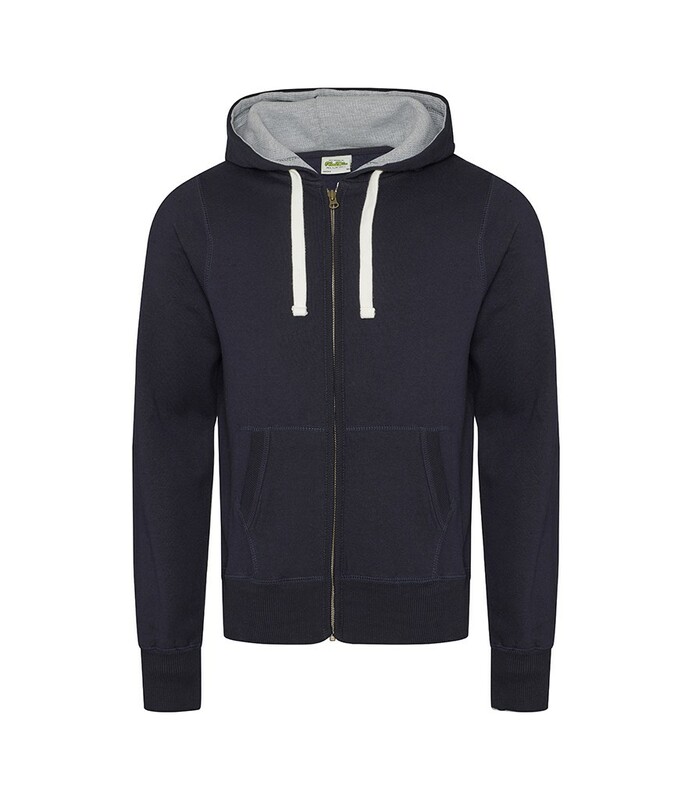 This Chunky Zoodie, as you might have guessed from the name, is one of our warmer hoodies. 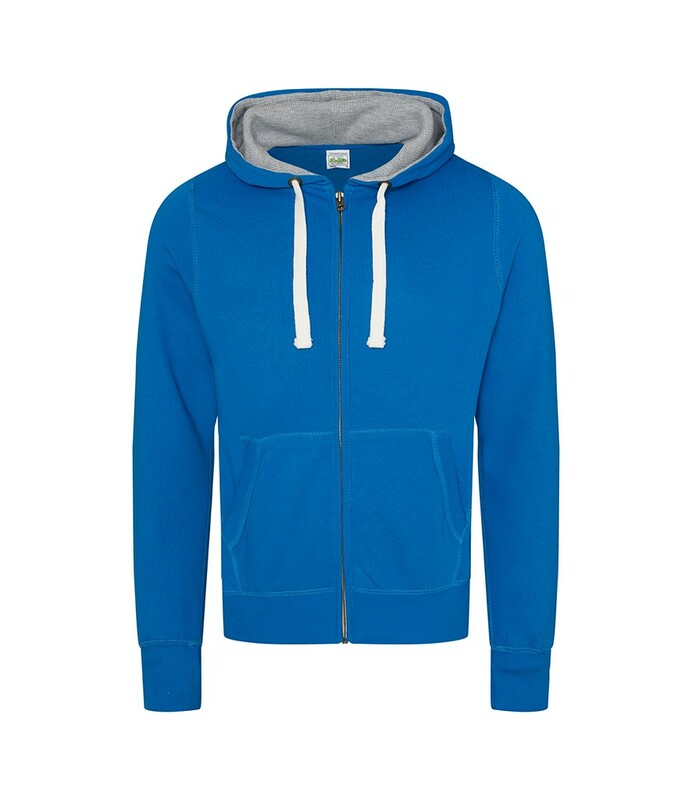 With its heavy weight cotton fabric and double fabric hood, this is an ideal winter option that feels quality. it’s thick and cosy and even has a waffle fabric inner hood, for extra warmth. But warmth doesn’t mean you have to compromise on style. This Zoodie has side panels and deep ribbed cuffs and hem for a stylish fit. The chunky white flat drawcords coupled with the heather grey inner hood add some contemporary contrast. With overlock stitching and a brass zip covered by rib detail, this is a stylish choice. The Zoodie also has some useful features like hidden earphone loops and an opening for an earphone cord. The kangaroo pouch and full-length zip, top this off as a cosy, practical, stylish winter option. 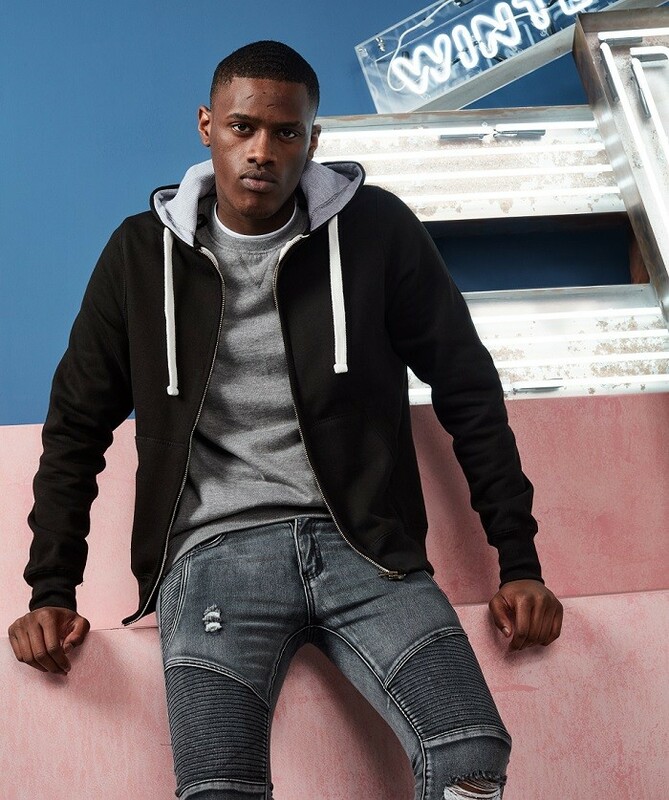 A cotton rich retail quality hoody at less than half the retail price. Its super warm, soft and at 400 gsm weight is our very heaviest hoodie, ideal if you're looking for something warm. 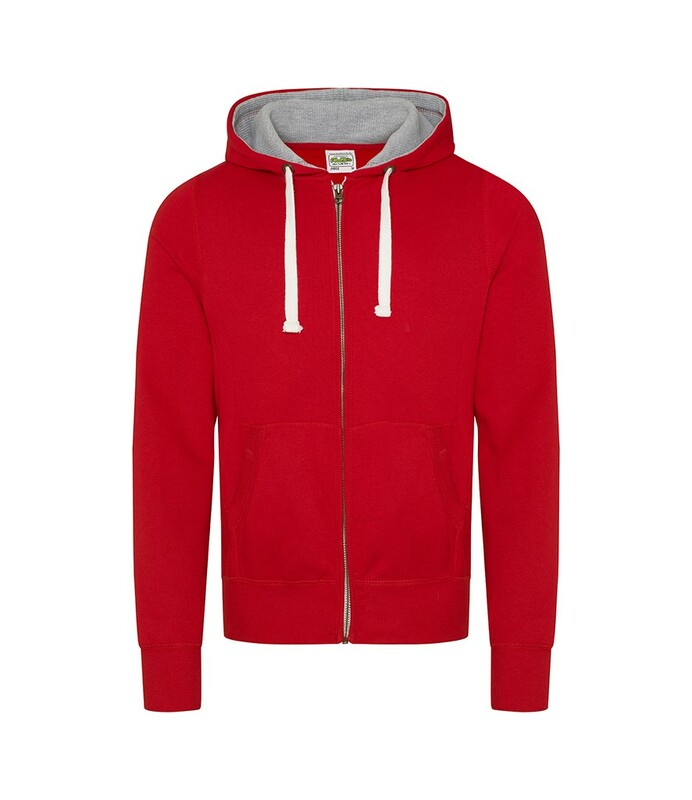 The fit is a fashionable slim fit, good sleeve length and quality features on the sleeve hems, waist and inside hood. Warm and comfortable Zoodie great quality.